The following DVDs will be on display from Wednesday the 26 April until May 3. 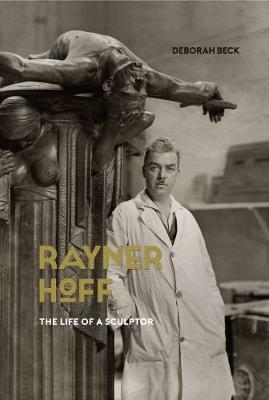 Dedicated to promoting sculpture as a major art form in Australia, the talented and charismatic sculptor Rayner Hoff arrived in Sydney from England in 1923 to take up a teaching position at East Sydney Technical College. Within three years, he had re-organised the art department, named it the National Art School, introduced a 5 year Diploma Course, and established the first School of Sculpture in Australia. He also set up the first library at the NAS, supported the first theatre group, and played a pivotal role as a member of the Artists’ Ball committee in Sydney. To coincide with the launch of her new biography of Rayner Hoff and an exhibition of his work in his former studio at the NAS, Deborah Beck will reveal the extent of Hoff’s extraordinary influence on his students and the art world of Sydney in the 1920s and 30s. David Haines and Joyce Hinterding are an artist-duo based in the Blue Mountains. As artists they maintain independent practices and also collaborate on large-scale art works that explore diverse subject matter, often with a focus on revealing the unseen and the unheard. Their work includes interactive gaming technology has been featured in exhibitions in Australia and internationally. Garry Shead is one of Australia’s most famous and acclaimed lyrical figurative expressionist artists, the winner of the Archibald Prize for Portraiture and the Dobell Prize for Drawing. The reason why he is so acclaimed is because he manages to convey a unique sense of pictorial magic through which we are given privileged access to a world which is both tangible and real, but also has the quality of otherness – that of the waking dream and of the quiet revelation - where we feel and see visual truths which can only be revealed through art. Artist, Tim Storrier examines the creative process from the blank canvas to the inspiration and formulation of the idea to the completed work. 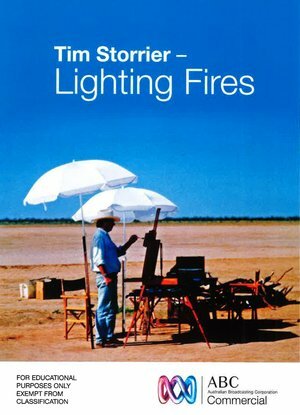 Storrier returns to his childhood home in western NSW, and travels north to desert country, and upon returning to Sydney creates five major and startling new works.